Coordinate your look with RaDon's matching color options and custom embroidery. 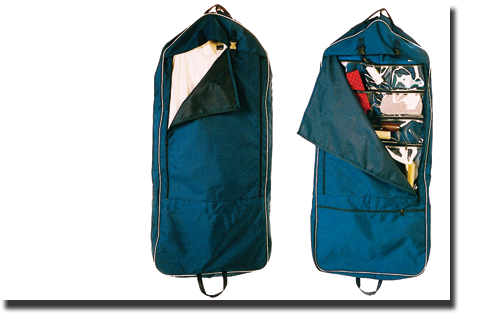 Preserve and protect your valuable show apparel and tack with a durable selection of custom bags from RaDon. They combine an iron tough exterior (Cordura 1000) with a baby soft interior (Canton Flannel) ensuring ideal protection under the most adverse shipping or show conditions.